Lots of folks daydream about starting all over, getting a complete re-do in business. A restart would allow us to put together exactly what we want, even switch commodities to some hot new crop. That’s just what David Hill did when he moved to his second farm at Clermont, Florida. The venture wasn’t exactly planned. Hill had farmed with his father-in-law, Billy Long, growing sweet corn, carrots, and other vegetables on rich muck soils at Zellwood near Lake Apopka. They did well, and Long became an industry leader. In 1965, the U.S. Junior Chamber of Commerce presented Billy Long its award as the nation’s outstanding young farmer. In 2005, he was inducted into the Florida Agriculture Hall of Fame. A big roadblock for the family arose along the way, however. The Lake Apopka Restoration Act, designed to make the lake’s water pristine, allowed the state to buy out farms on that productive soil. In 1998, Hill and Long closed up shop. Long continued farming vegetables further south, near Stuart. The Hills were at a crossroads. They could go into an entirely different business. They could also move and start over at farming. David Hill wanted new challenges and looked for something entirely different. In 2000, he bought some high, sandy ground surrounded by citrus groves and put in 120 acres of landscaping trees. Florida’s fledgling blueberry industry intrigued Hill and his oldest son, Michael. By the time Michael graduated from Auburn University with an ag economics degree in 2010, they were ready to give it a try. 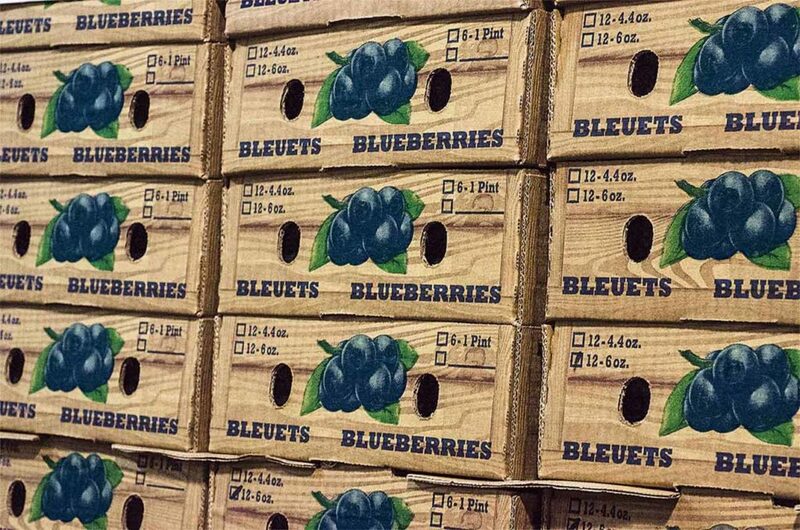 The farm’s berries get shipped all over the nation during the March/April marketing window. University of Florida breeders started work on low-chill varieties suitable for the state’s climate as far back as the 1950s. They released their first southern highbush varieties in 1976. After the addition of improved highbush varieties released by Florida breeder Paul Lyrene in the 1990s and early 2000s, the industry took off. With an April/May marketing window coming between Chile’s blueberry harvest and Georgia’s, it was a natural. Still, growing blueberries on the Hill family’s sandy high-pH soil near Clermont would not have worked. Building a perfect bed for the blueberries was Michael’s first task. He brought in pine bark mulch to make fresh beds and get pH into an acceptable range closer to 5.0. Michael installed drip irrigation that fertigates the blueberry plants. In addition, overhead irrigation provides winter-time freeze protection. 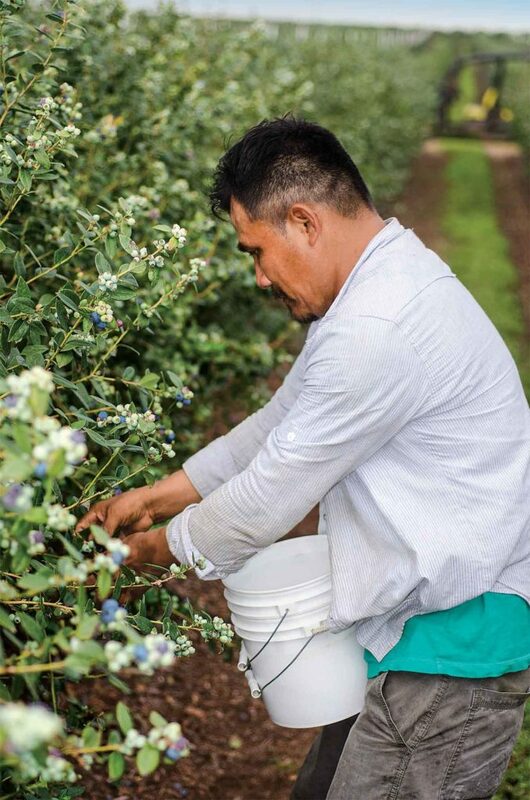 Even though they’re growing varieties developed specifically for Florida’s warmer climate, their blueberry plants still need a little help to hit that April/May marketing window. Spraying with hydrogen cyanamide puts the plant into a brief dormancy. Then it puts on new leaves and blooms at the proper time. “Hitting that market window means everything to Florida’s blueberry business. We do what’s necessary to do that,” Michael says. Since replanting this old citrus land with landscaping trees and blueberries, the Hills have doubled their blueberry acreage to 40, opened up to U-Pick, become powerful marketers via social media, and gotten in a partnership packing blueberries not only for themselves but also for other central Florida growers. “There’s now a lot of competition out there. We’re going to have to have higher yields to help handle our costs and we’re going to have to be very innovative in what we do. That’s what’s driving us,” David Hill says. Pushing the blueberry business harder means there’s room on the farm for Michael’s younger brother, Kyle, and sister, Rachael Criswell. “It’s great to have us working together. When people think of a family farm, that’s truly what we are. That’s us. We each have a role,” David says. The farm offers both U-Pick and commercially harvested berries. The Hills now pack berries for their own farm as well as other central Florida farms. Ever expanding. “We expand every year. There’s plenty to do. Dad has given the reins to us, for the most part. He’s still the boss but lets us run it,” says 25-year-old Kyle, who now concentrates on agronomics. Brooke, Michael’s spouse, took charge of the U-Pick operation, adding that to her marketing duties. She quickly made it a profitable success. Rachael, a former elementary school teacher, read extensively about blueberries and helped organize the on-farm market where she sells blueberry snacks, drinks, syrup, vinegar, hand lotions, honey from the 150 beehives pollinating the berries, and other products promoting the farm. She also operates the always-popular hay ride, pulled on the farm by a tractor. “I just want people to experience the farm and have a good time while they’re here,” Rachael says. “The community has embraced us. We’re very blessed that people want to be here,” says Lisa Hill, the young folks’ mother, whose father Billy Long started the family farm business in Florida agriculture in the 1950s. Run for the berries. The Hills stay busy keeping blueberries visible in central Florida. They host the U-Run U-Pick 5K race on the dirt roads around the farm, with 800 runners gathering to eat blueberry pancakes and take home a pound of berries. “This is a world-renowned training area for runners because of the clay roads around us,” Michael says. Their U-Pick customers find lots of family activities on the farm. They hosted a farm-to-table fundraiser for a local school, with dining under the stars. A local brewery even used their blueberries to flavor beer sold at a restaurant. “It was pretty good. It’s kind of amazing at all the things that can be done with blueberries. Beer was a new one, for me,” Michael says. Last October, the farm hosted a fall festival with food, games, and music. It’s all part of being a destination for the community. In addition, Southern Hill Farms stays in touch with customers through Facebook, Twitter, Google+, and a website. “The Hills have such a cool story. Michael, Kyle, and Rachael are the third generation growing and packing fruits and vegetables in this area. From carrots and sweet corn, they branched into woody ornamentals and now blueberries. They’re doing well. Their U-Pick operation is gaining a lot of popularity. The citrus industry in our area continues to suffer. The Hills have done well in an entirely different venture,” says Erin Vermillion, Farm Credit of Central Florida loan officer in Apopka. “The important thing to me is getting to work with family. That’s the best thing of all,” David Hill says. Managed correctly, these helpful bugs will feast on leafy spurge. Plus a few tanks of tilapia.